So now you can see how the tin foil fits into the equation! I was amazed how well the powder took to the foil as well...not one miss or smudge or stray grain of powder - just perfect. Thanks so much for joining me for my first post...I hope you all enjoyed it and I can't wait to see what you talented bunch come up with...I'll be keeping a beady eye out for more 'Metal' ideas! 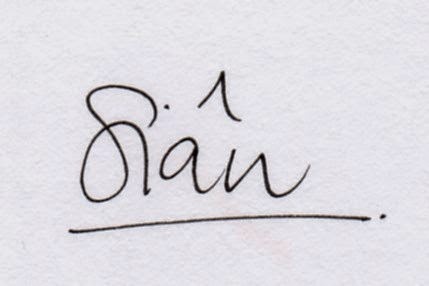 Sian, I love the look of that! What a great project!!!! wow, was für ein toller effekt, schuat super aus! Top-notch post; top-notch, eye-catching, brilliant card! 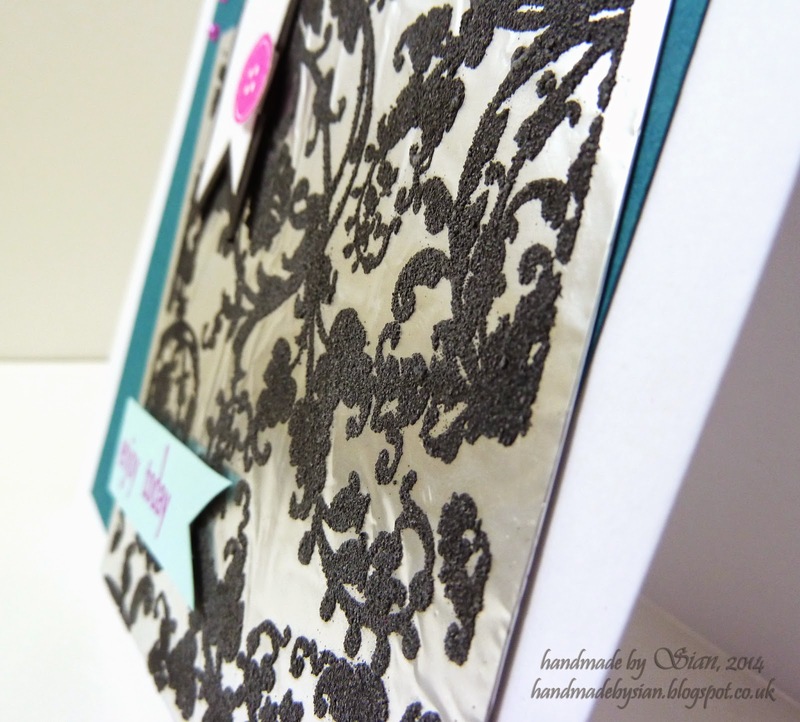 Tin foil as your 'metal' choice is phenomenally clever, and the embossing amps up the impact! WOW, WOW and WOW! Isn't the Black Puff texture yummy? I love your take on this month's challenge!